The Short Version: SeniorMatch.com is a trustworthy online community designed for singles of a certain age. The dating site and app gives single men and women the tools to connect with one another and expand their social networks. More than 2.7 million members have been active on this niche dating site, which has inspired countless friendships and relationships since its founding in 2001. 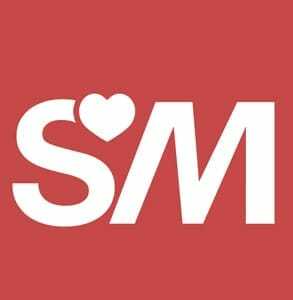 SeniorMatch has collected testimonials from couples who met on the platform and garnered a reputation in the industry as one of the leading senior dating sites. In 2017, SeniorMatch got a high-profile endorsement from Hollywood when a character in “Daddy’s Home 2” referenced the dating site in the final scene of the movie. 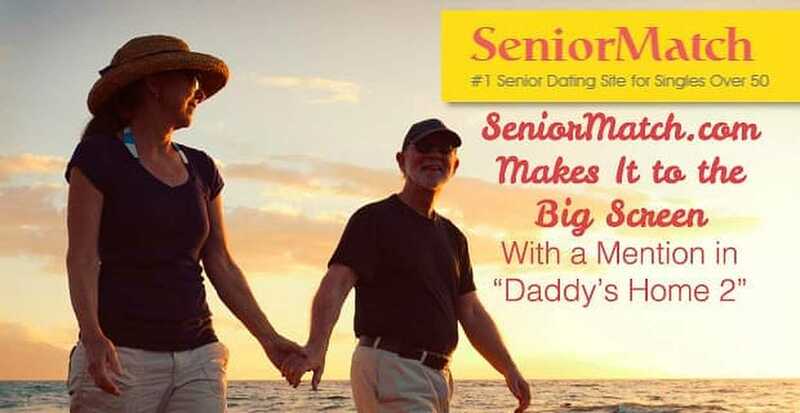 The SeniorMatch team expects this positive mention to bring many senior daters to the site in hopes of finding their own happily ever afters. Hollywood hasn’t always been a fan of dating sites and apps. Some movies, like “You’ve Got Mail” and “Must Love Dogs,” embraced the romantic possibility of online dating. Others treated it more like a punchline. In movies throughout the early 2000s, having a dating profile typically appeared as shorthand for a character’s desperation or loneliness. In the early days of online dating, many people saw joining a dating platform as a last resort — and a shameful one at that — but that perception has slowly evolved as the medium has grown more popular. Within the last few years, online dating has become the go-to solution for millions of singles seeking a date. Now being active on a dating site doesn’t have such a stigma attached to it. More people have realized that online dating is here to stay, and the way they talk about it in conversations and in the media has fundamentally changed. You can see evidence of this shift in recent pop culture references. For example, in “Daddy’s Home 2,” SeniorMatch.com appears as a way of healing the relationship between a granddaughter and her grandfather. The 2017 comedy “Daddy’s Home 2” mentions SeniorMatch as a top dating site for seniors. As they say goodbye after the holidays, Adriana shows her love for her Pop Pop by saying she signed him up for SeniorMatch. The sassy pre-teen says it’s “for old people like you,” but her Pop Pop, played by John Lithgow, is delighted. It means she cares about him and wants him to be happy. They hug it out, and everyone is all smiles. SeniorMatch is proud to be part of this feel-good moment on the big screen. This senior dating site has been around a long time, and the team feels gratified to have such a positive shout-out in “Daddy’s Home 2.” It’s a big deal for their brand and, hopefully, can draw a lot more eyes to all the great work they’ve been doing for the senior dating community. The dating network is designed to help seniors meet people their own age, so they don’t have to worry about competing with 20-somethings for attention. Everyone online has similar life experiences and dating priorities. To date, SeniorMatch has connected over 2.7 million members in a safe and friendly network. Whether they’re hoping to find a new hiking buddy or someone to talk to, these singles join SeniorMatch because they want to expand their social circles, and maybe find romance along the way. SeniorMatch has a long track record of pairing up baby boomers in lasting relationships. A team of highly trained experts run SeniorMatch with integrity and enthusiasm. They understand that not every user is exactly the same and seek to make the dating platform flexible to accommodate various needs and personality types. Adriana’s reference in the closing scene of “Daddy’s Home 2” is a great endorsement for everything SeniorMatch.com can do for single seniors. But what rings even truer are the real-life endorsements by people who have used the site and found what they were looking for thanks to the easy-to-use dating platform. Creating a dating profile is still a relatively novel concept for many singles, especially those in the older generation; however, you can see evidence of it becoming normalized in the way online dating appears in today’s pop culture. At the end of “Daddy’s Home 2,” Adriana opens up in a touching way when she tells her Pop Pop she has signed him up for SeniorMatch.com. This innocent gesture appears in the final act of the movie, and it’s a way of showing the audience that John Lithgow’s nice-guy character is going to be OK. His granddaughter, not to mention Mel Gibson, both volunteer to be his wingman and help him meet someone. SeniorMatch is the premier dating website and app for singles over 50. Online dating brings people together. It’s more than a way to meet someone new — it’s a way of showing you care and want to bring more love into your life (or the life of your Pop Pop). Since its launch in 2001, SeniorMatch.com has established itself as one of the most trustworthy platforms for singles over 50. In 2017, “Daddy’s Home 2” gave the dating site a memorable mention and effectively recommended its services to millions of grandfathers and grandmothers seeking a strong connection. Whether you’re recently divorced or have been out of the dating game for a long while, SeniorMatch offers a safe place to start again and find a pen pal, friend, or love interest.